Many of us have to face the problems of allergies throughout the year but some types of allergies are related with seasons and some of them are associated with different allergens such as mold, wings of insects, fur of pets, dust, mites and pollens. All types of allergies are curable and their initial signs and symptoms have similarities and in this article we will discuss about the mold allergy and its causes and cures. This allergy is not related to any season and you can suffer from this allergy any time throughout the year and as this allergy spread due to the dirt and filthiness therefore you can easily control it by keeping your surrounding clean. Actually, mold is a microscopic organism which is the special type of fungus that grows on the woods, leaves, foods and dirt therefore in this allergy doctors mostly recommend to keep your house clean and mold die due to the sunlight therefore keep open windows and doors of your home so that sunlight will reach every corner of your house. It is reported that moist and dark places are ideal places for the growth of mold therefore give special attention to the basements of your homes and furthermore, give importance to the cleaning of sink in the kitchen and especially under the sink, you should use the anti-germ sprays. 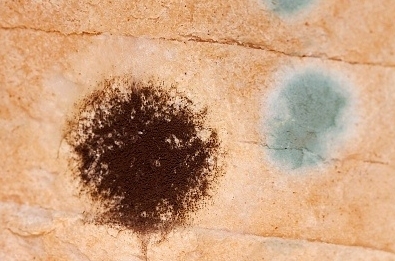 The mold can be seen on the surface of food items such as bread, you can see the mold as the green spots and this is the initial condition of the spread of the mold because when a mold completely spread in a food item it cannot be seen with man’s eye. That’s why we eat the infected food items and mold allergy develops in our body and the symptoms of this allergy include the reactions instantly after as you eat something therefore do not put your food and food items in open places. The infected food is not only the cause of mold allergy but we can also get this allergy by breathing mold spores which will be present in the air near the dirty place and in case of this allergy you can experience severe wheezing and skin rashes. There are some types of mold which are used in the production of food but these types are beneficial for the human health and the problem occur when dangerous mold enters into body and if you will not take proper treatment to control this allergy then they will spread all over in your body. You can easily control mold allergy by adopting some safety measure such as you are not required to taste or smell any food to check whether it is spoiled or not and especially get information about all the food item that have chances of mold. When you have diagnosed with the allergy of mold then do not delay to get medical treatment otherwise your allergy will become worse.